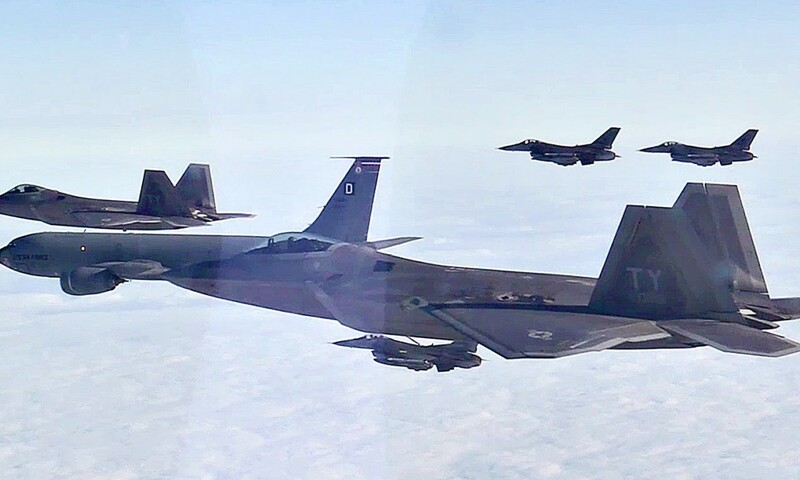 F-22 Raptors, F-16 Fighting Falcons, and a KC-135 Stratotanker participate in training mission over Europe. 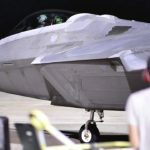 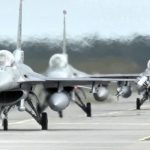 The F-22s are deployed from Tyndall AFB, Florida and the F-16s are from Spangdahlem Air Base, Germany. 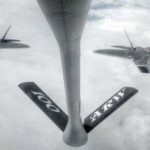 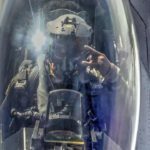 Posted On September 10, 2015 in Air Force, Military with 0 Comments.Tagged: Boeing KC-135 Stratotanker (Aircraft Model), F-16, F-22, Flying, General Dynamics F-16 Fighting Falcon (Aircraft Model), KC-135, Lockheed Martin F-22 Raptor (Aircraft Model), United States Air Force (Armed Force).